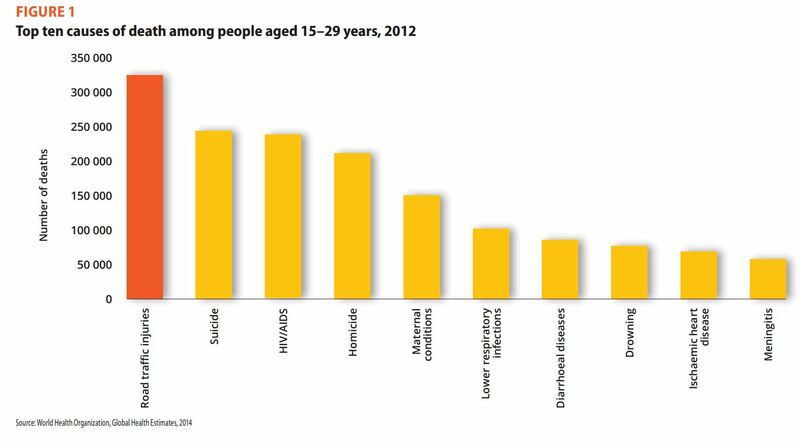 Road accidents are the leading cause of death among 15- to 29-year-olds globally, according to a report published by the World Health Organisation on October 19th. 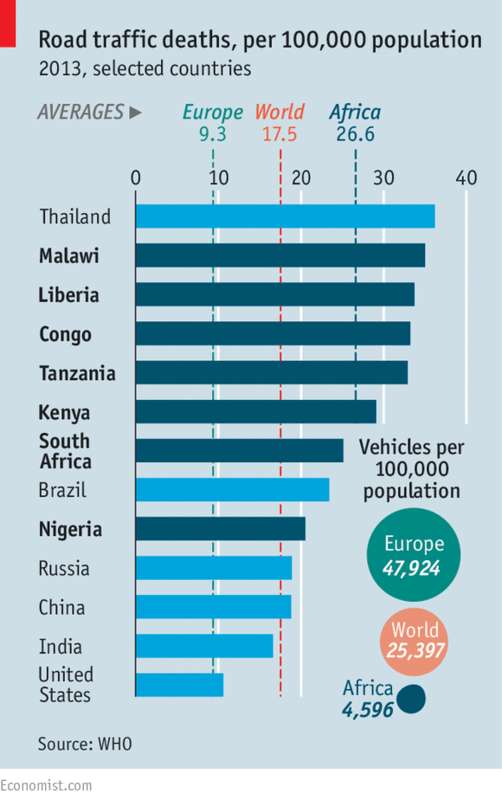 Forty of the 50 countries with the highest road-death rates across all ages are in Africa. 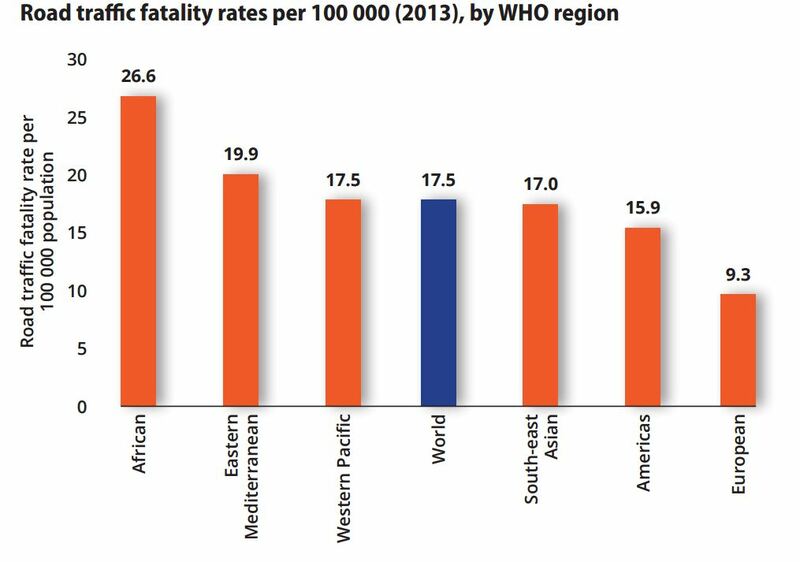 Traffic accidents now kill more people than malaria in many African countries, including Kenya, Ethiopia, South Africa and Sudan. 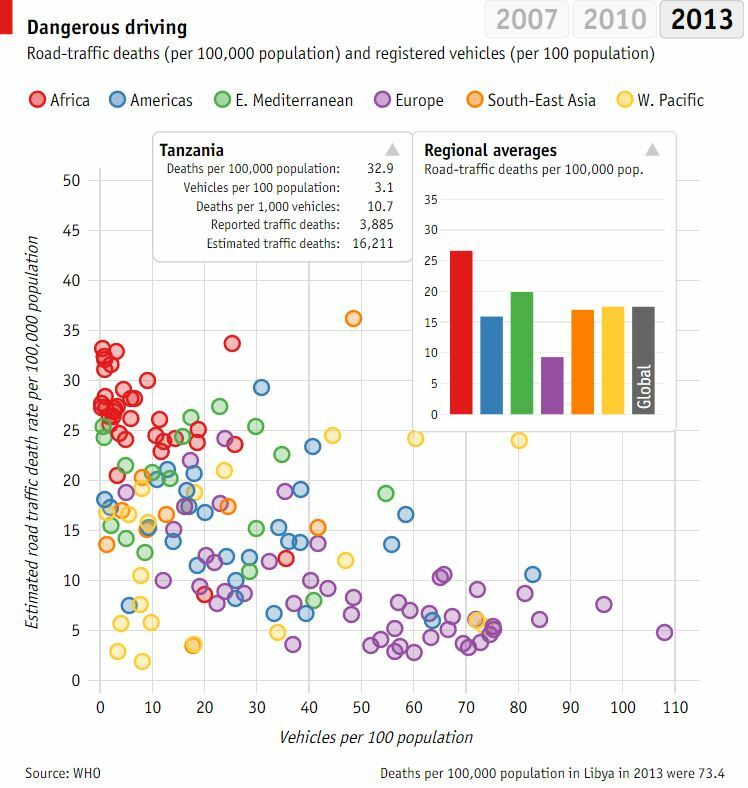 Globally, the World Health Organisation estimates that road traffic accidents kill an estimated 1.25m people a year, though this number has remained relatively stable since 2007.